Christmas Book List - A Few of My Favourites! I have to admit that I have a little cookbook obsession, which in recent years has obviously been focused more on those related to baking and cake decorating. Despite the wealth of recipes and cake decorating information available online, I adore nothing more than browsing the cooking section of a good bookshop and selecting a beautifully photographed tome of recipes and tips to add to my bookshelf (Anyone else with me?!). http://www.covecakedesign.ie/wp-content/uploads/2017/11/Sweet-2-e1516398689580.jpg 595 1000 Suzanne Brady http://www.covecakedesign.ie/wp-content/uploads/2019/04/Cove_web.png Suzanne Brady2017-12-01 11:02:202017-12-01 12:05:25Christmas Book List - A Few of My Favourites! I recently received the most amazingly fragrant organic edible roses from Bumblebee Flower Farm in West Cork. The scent was something that you would never get from a standard shop-bought rose...these roses were those that you just wish to close your eyes and breathe for. My purpose was to try out some of the beautiful summer blooms from Bumblebee Farm for use as decoration in some of my cake designs, but I couldn't pass the smell of these roses without thinking that I had to incorporate that scent into a cake too! And the award for Best Dessert Blog goes to...! I was beyond thrilled to have attended (and won!) the Golden Tier Awards in New York last month. Bowled over actually is more like it! 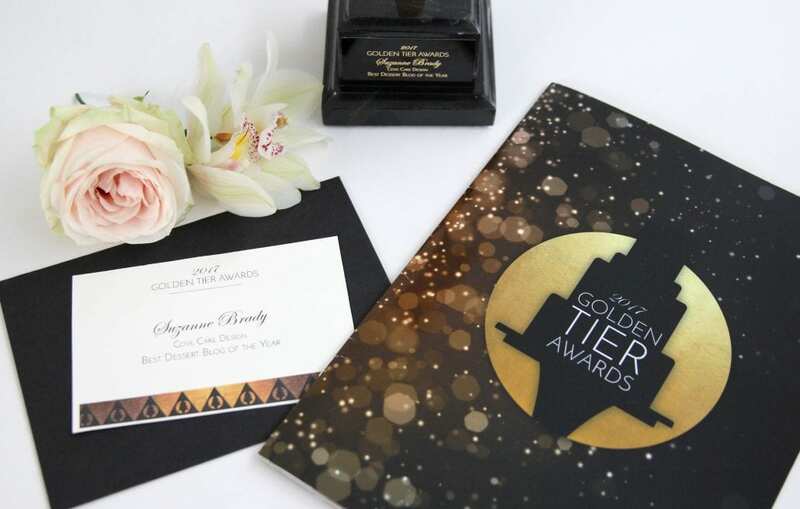 The Golden Tier Awards is the first American-hosted, international awards show of its kind, recognising the contribution of pastry chefs, cake and sugar-artists, dessert professionals, authors and writers, chocolatiers, instructors, and retailers and celebrating the very best the industry has to offer. http://www.covecakedesign.ie/wp-content/uploads/2017/07/IMG_6269_edited-1-e1516399259214.jpg 636 1000 Suzanne Brady http://www.covecakedesign.ie/wp-content/uploads/2019/04/Cove_web.png Suzanne Brady2017-07-14 19:39:482017-11-09 17:30:05And the award for Best Dessert Blog goes to...! I recently came across dried Hibiscus flowers on one of my many compulsive deli wanderings. Ruby red in colour, it is consumed as a tea, with a tart berry-like flavour, often requiring the addition of sugar to counteract this. I love using teas to flavour cakes and decided to try Hibiscus in a loaf cake, paired with the classic combination of lemon and raspberry. I made these macarons as my edible Christmas gifts last year. The combination of chocolate and hazelnut is a well renowned match made famous of course by Nutella! 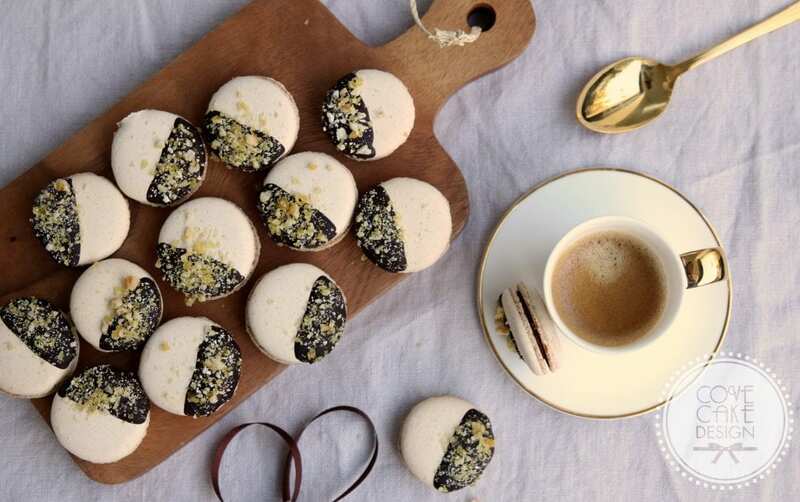 The addition of orange zest adds a fresh twist and the decoration of dipped chocolate coated in crunchy hazelnut praline adds an additional layer of flavour and luxury....the perfect gift and indeed luxurious teatime treat! Enjoy! I always love to have some cookie recipes up my sleeve, something that can be made quickly for an edible gift, or when expecting guests for an afternoon cuppa. 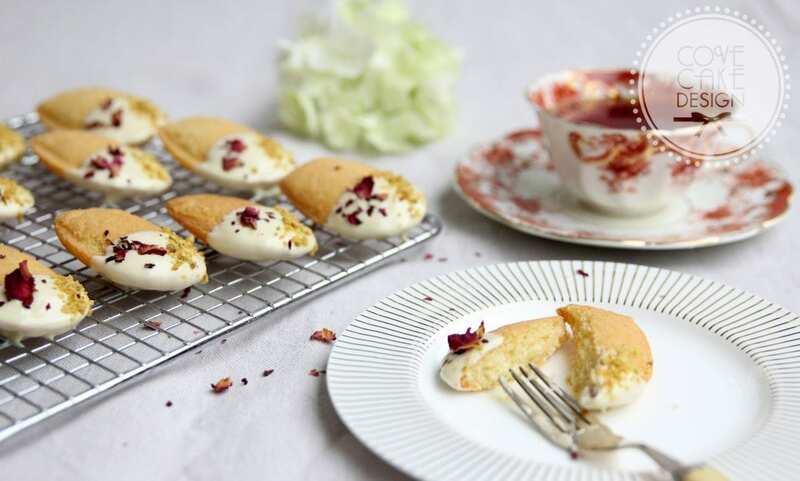 For this recipe I adapted a simple shortbread base to incorporate the delicate flavour of orange blossom combined with pistachio, pomegranate and a sprinkling of rose petals..a favourite flavour combination! Delicate and pretty these would be perfect for Mother's Day! I adore Asian food and flavours, having visited various parts of the region over the last 10 years while my husband worked there. So I was thrilled to be asked to create custom flavours with a nod to Asia for a Chinese New Year event that took place here this week. 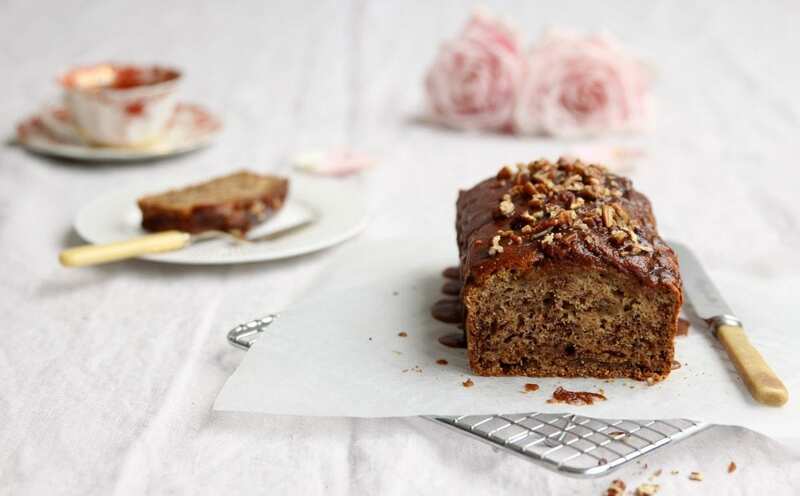 Banana bread is a firm favourite in our house, delicious for a lunchbox or teatime treat and also a great way to use up those overripe bananas! For everyday family baking I prefer to opt for this healthier version over traditional banana bread recipes, which are often laden with sugar. Made with spelt flour, vegan and free from refined sugar, it is not too sweet and comes with a little less guilt....just what is needed in January!